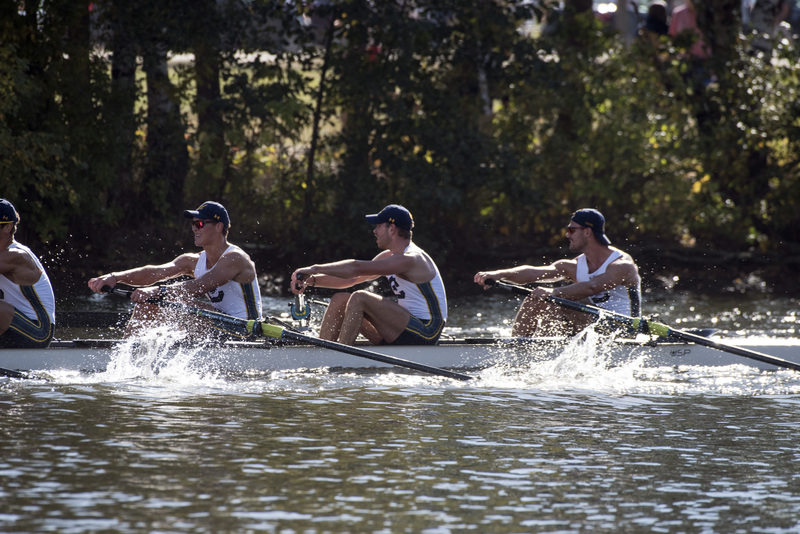 The 53rd Head of the Charles Regatta proved to be one of the warmest and driest in recent history, which led to people looking for their shorts and sunglasses, and to a reported 300,000 spectators lining the banks. Racing kicked off at 7:45AM on Saturday, October 21st - boating out of the SHARK Zone, Tom Bishop of the Quintin Boat Club was the first athlete on course, and by the end of the race had built up an over 40 second lead to win the Men’s Senior Veteran’s Single. 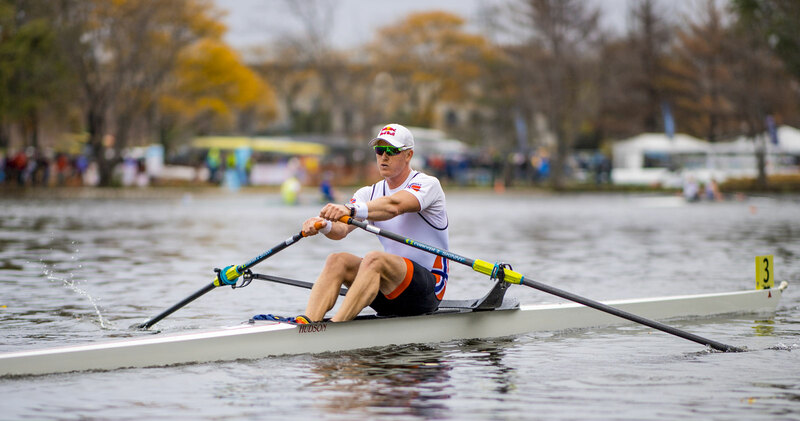 The Men’s Great 8+ signalled a changing of the guard at the top end in the sculling world, with Olympic Silver Medallist Damir Martin, and Olympic Bronze Medallist coxswain Peter Wiersum being the only carryovers from 2016. Racing a USP U8.42 the competition promised to be stiff with University of California Berkeley and Rowing Canada (also racing a USP U8.42) looking strong. The Great 8+ managed to smash the previous course record, but were bested by 2.7 seconds in the end by an outstanding performance by Cal. 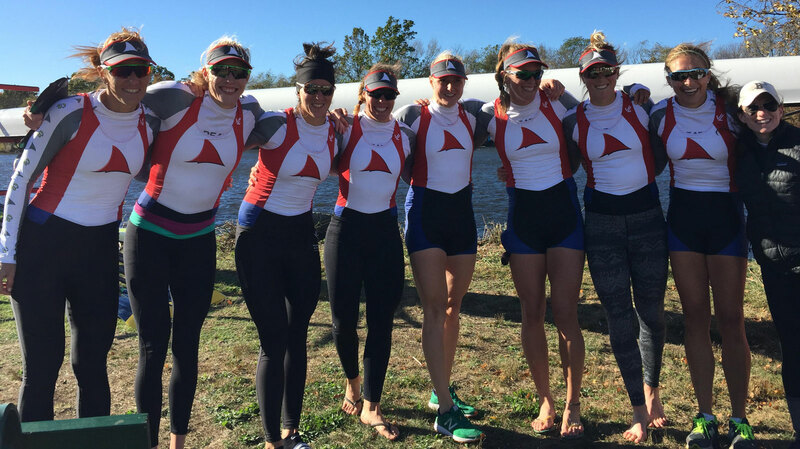 The Women’s Great 8+ were returning 4 scullers and their coxswain from their winning 2016 boat, but a late illness saw 2016 Olympic Silver Medallist Gevvie Stone step back into the boat on race day, and a shuffle of the seating order. 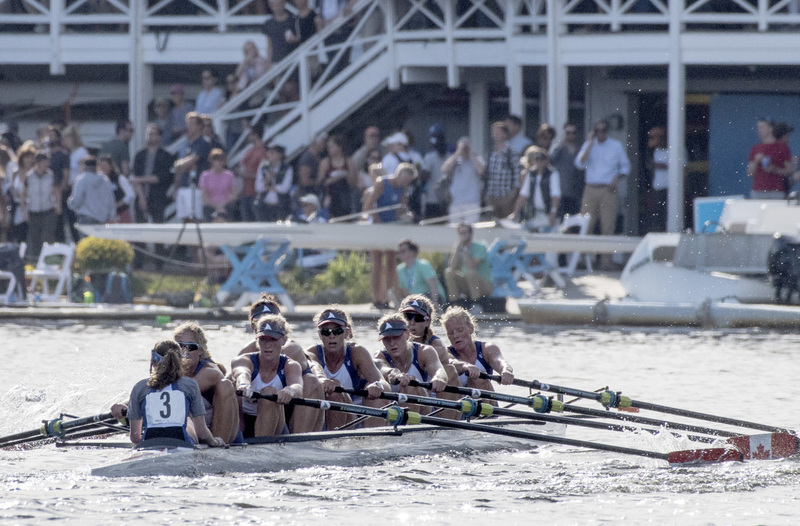 The transition appeared seamless as the Women won, beating the US and Canadian Training Center entries, and setting the course record by close to 30 seconds in a USP U8.21. In addition to the Great 8+’s, four of the world’s top Lightweight Men from the Skibbereen Rowing Club in Ireland joined HUDSON and Concept2 in the SHARK Zone. 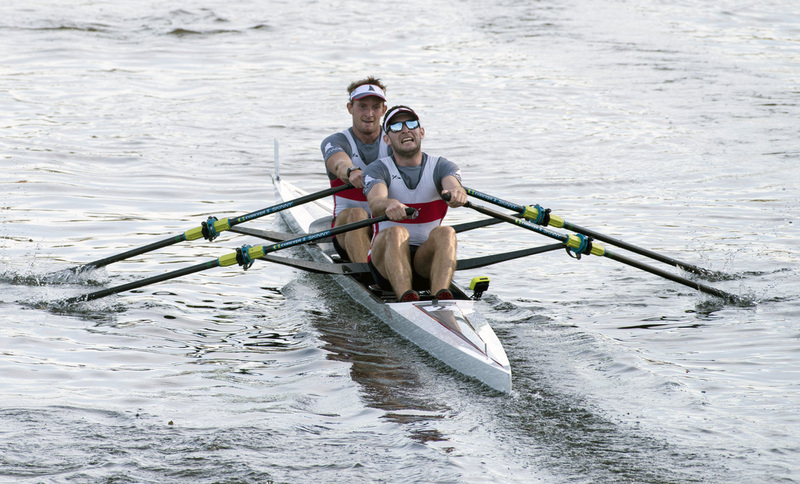 Brothers, and Rio Silver Medallists, Paul and Gary O’Donovan were game to race the newly designed U2.22 USP 2x. They would be racing against 2017 World Championship Lightweight Men’s Pair Champions Mark O’Donovan and Shane O’Driscoll. The O’Donovan brothers we’re leading the Championship Doubles at the Cambridge Boat Club by more than 4 seconds, but took the last corner wide to finish second by the smallest of margins; one tenth of a second. In the Collegiate races, the Cavaliers from UVA raced their USP U8.42 to a win and set a course record in the Men’s 8+’s. The Women from Bates echoed that performance with a win, and setting a new high water mark by over 20 seconds. 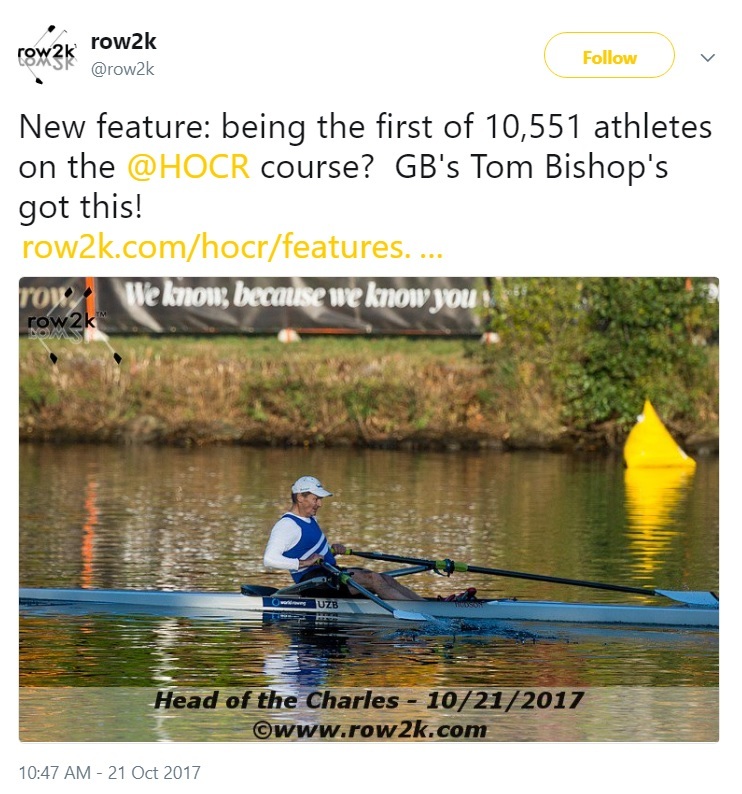 The 52nd Head of the Charles Regatta proved to be the biggest ever for HUDSON, where we hosted over 80 crews, a large number of which were international, including more than a dozen Rio Olympic medalists. 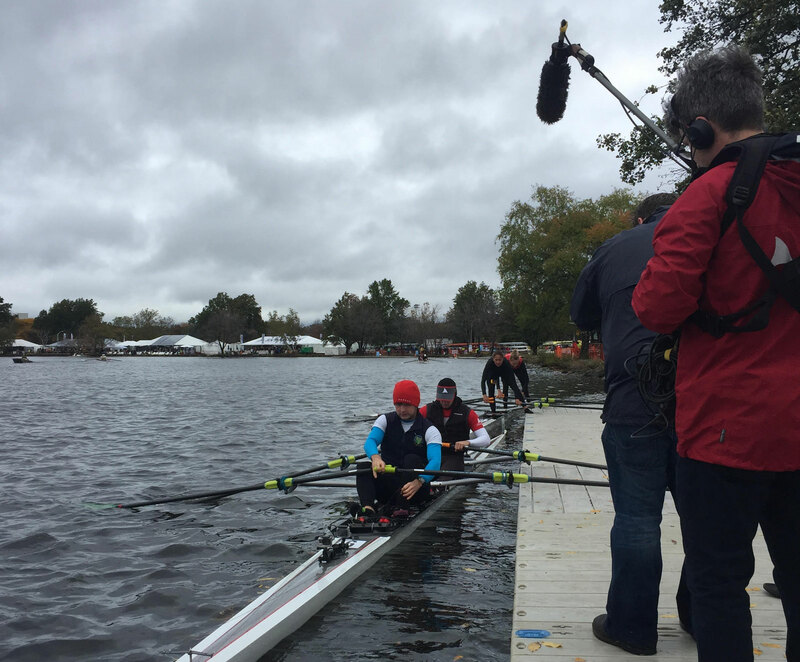 At past Head of the Charles Regattas, we've experienced all four seasons, (with at least one year having all four in one regatta) - we planned, and came to the regatta prepared. Mother Nature did not disappoint, with flood warning alarms going off on various Weather Apps on Friday evening, we were delivered a small lake in the middle of the SHARK Zone just in time for racing to begin Saturday morning. With an electric pump, and several hundred buckets hand carried, the lake was drained and a bed of hay laid before most crews arrived. Fresh off the 2016 Rio Olympics, the worlds top scullers joined HUDSON and Concept2 in the SHARK Zone as members of the Women's and Men's Great 8+'s. Featuring the past two Olympic champions on the Women's side, and the past four (in two Men, with two titles each) on the Men's side, the lineups looked strong. Beyond the Great 8+'s, the SHARK Zone was host to a number of other recognizable medalists including five Gold Medalists from the dominant GB Men’s sweep squad and the O’Donovan brothers from Skibbereen, Ireland whose inspirational Silver medal performance in the LM2x caught the imagination of a nation. The brothers arrived in Boston complete with their own camera crew. Pull like a dog. The Women set a punishing pace, gapping the Olympic sweepers 8+ at every mark, leaving them over 15 seconds behind at the line. Not to be outdone, 2016 Olympic Bronze Medalist in the M2x Kjetil Borch, took to the Championship 1x in a U1.42 to win his third title. 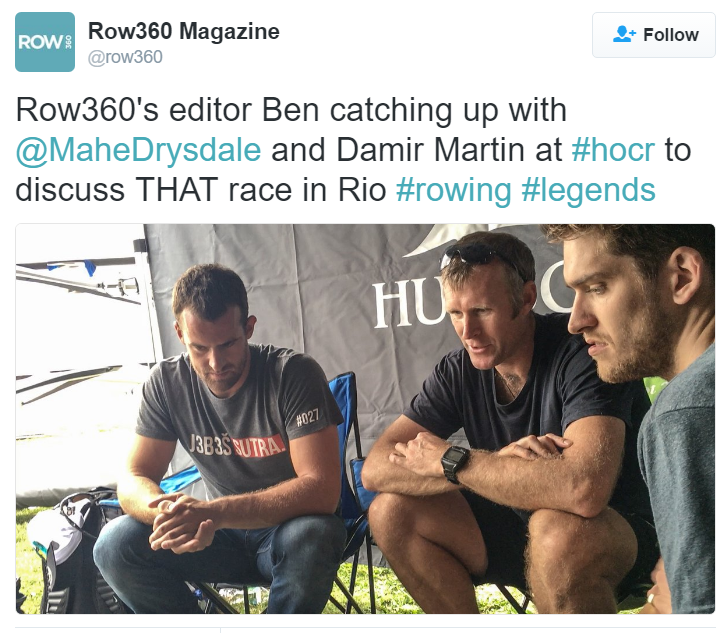 While the Men's Great 8+ struggled to find the same rhythm that brought them victory in 2014, Row360 did not miss the opportunity to watch and the get the blow by blow on the epic Men's 1x battle in Rio with Mahe and Damir. 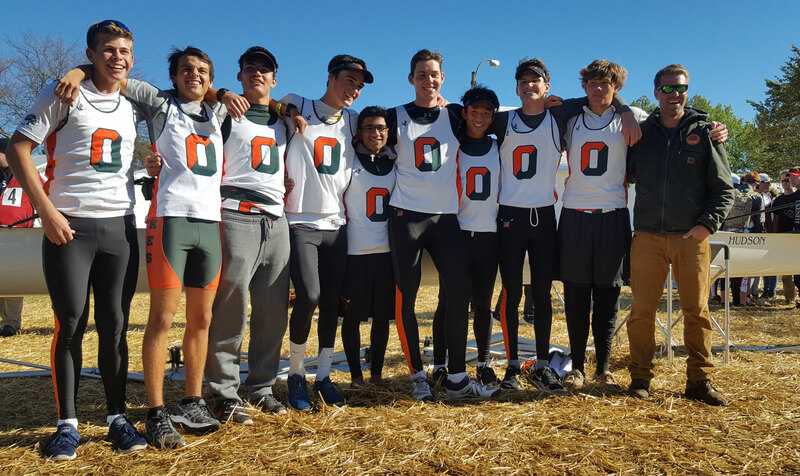 Book-ending the Championship results, were some outstanding Youth results, with cross Bay Rivals Oakland Strokes and Marin going One-Two in the Youth Men's 8+'s, and athletes training in three different countries taking the top three spots in the Youth Men's 1x. HUDSON Boat Works is proud to announce its first fleet sale in Brazil with a purchase of eight boats by the historically significant, Clube de Regatas do Flamengo, a few months ahead of the Olympic Regatta and the 121st anniversary of the club. Clube de Regatas do Flamengo was founded as a rowing club in 1895 by a group of men who used to gather at Café Lamas, in the Flamengo neighborhood of Rio de Janeiro. The rowing club is located on some prized Rio real estate situated on the edge of Lagoa Rodrigo de Freitas, in the heart of Rio located between the world famous beaches of Copacabana and Ipanema and the spectacular backdrop of mountains, the Tijuca Forest and Christ the Redeemer statue at Corcovado. 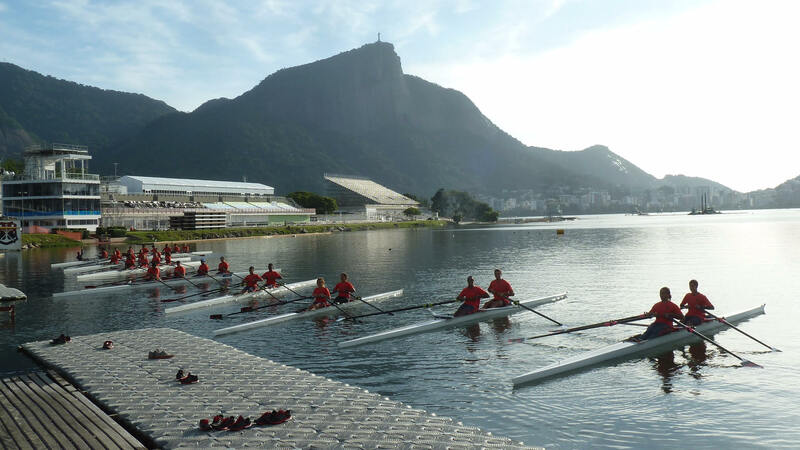 The Flamengo Club sits at the finish line of the 2000m regatta course that will be transformed into an Olympic venue and host the Rowing events for the 2016 Olympic Games. Horacio Sicilia, HUDSON Authorized Agent South America, worked closely with Mr. Bruno Cotecchia, Rowing Vice President, Mr. Leandro Loureiro, Rowing Head Coach, and Edson Figueiredo, Rowing Manager, to confirm the sale of eight HUDSON Shark rowing shells including three 2x’s, one 2-/x, one 4-, two 4-/x, and one 8+. Recently the fleet of SHARKS were celebrated and christened by the Flamengo Club which can be seen in the image gallery and have quickly become the boat of choice for all competitive members. 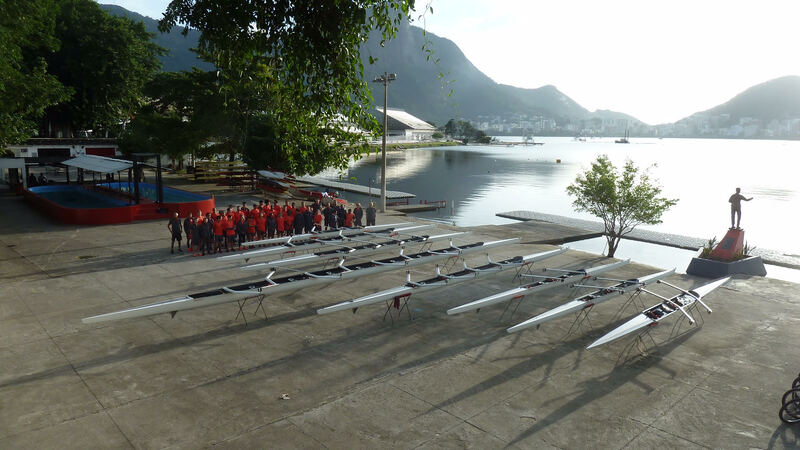 HUDSON is excited to welcome Clube de Regatas do Flamengo to the SHARK side and looking forward to building a supportive relationship with this flagship rowing club. Fique com cuidado, Flamengo lançou oito SHARKS na Olympic Lagoa no Rio. Para Frente! Força Flamengo! Força Brazil! At the 2004 Olympics in Athens, the USA heavyweight men’s eight, raced the fastest 2k ever seen (5:19.85). The boat which they propelled to victory was built by HUDSON, a Canadian company working at the very cutting edge of our sport. Since Athens their presence has grown rapidly, not only at an elite level, but across the board, at universities, clubs and schools as more and more crews invest in the HUDSON vision. The company has gone through several incarnations over the years. HUDSON Boat Works was founded in 1981 by Jack Coughlan and his brother-in-law Hugh Hudson. Previously Jack made wooden oars, but saw sales evaporate almost overnight after composite carbon oars came on the scene in the late ‘70s. Resolving never to be caught out again, Jack changed direction, and in the early ‘90s HUDSON Boat Works became one of the first to produce ‘pre-preg’ carbon composite racing shells. By ’84 they already had their first medal in an Olympic games and a flurry of medals came in Atlanta in ’96. In fact, to date HUDSON boats have collected over 80 medals from Olympic and Senior World Championship races. The real change of pace however, wasn’t until 2005. “The company wasn’t just making racing shells back then,” explains Glen, “we were building all kinds of other products, some for the rowing industry, some for elsewhere. That was where we felt the fundamental change had to come - if we didn't focus on one product and endeavor to make that one thing better than anyone else, then there was no long term viability - so we shed everything else.” Stripping it all back, they left themselves one clear objective – make the world’s best rowing boats - a decisive and indeed brave move that was to prove wildly successful. The ‘iPad’ tablet system is one of many technological advances implemented by HUDSON over the last decade that stands out in an industry historically more ‘spit and dust’ than lasers and touch screens. As we continue I am struck time and again by the level of technology at HUDSON – It’s easy to forget that this is a rowing company. Now almost entirely paperless, the factory manages its production schedule through a cloud-based tablet app. “Staff log in and immediately have access to exactly what’s happening at that moment with each boat in process, so they can make sure everything is happening as it should.” explains Glen. “This approach also facilitates monitoring of critical processes – for example, every cure cycle in the ovens (in which the carbon is cured in the mold) has its own pre-set program.” If at any point the temperature falls more than a few degrees outside the set parameters, it sends a text message and email to the on-call engineer. “So we’re using technology that means we can login at any time, from anywhere in the world and see exactly what’s happening with our manufacturing processes.” From real time data collection on every process to lasers in the ceiling that project where to bond parts, the facility is fully wireless with a digital infrastructure to rival the auto industry. Continuing on we arrive at the ‘bend test’ machine. Comprising around $150,000 worth of materials, controls and actuators - a machine of this type would typically be beyond the scope of what a regular boat builder would be able to afford. As I’m learning though, this is certainly no ordinary boat builder. “If we were to outsource this technology, it would cost around $500,000 just to have someone come in and build it. 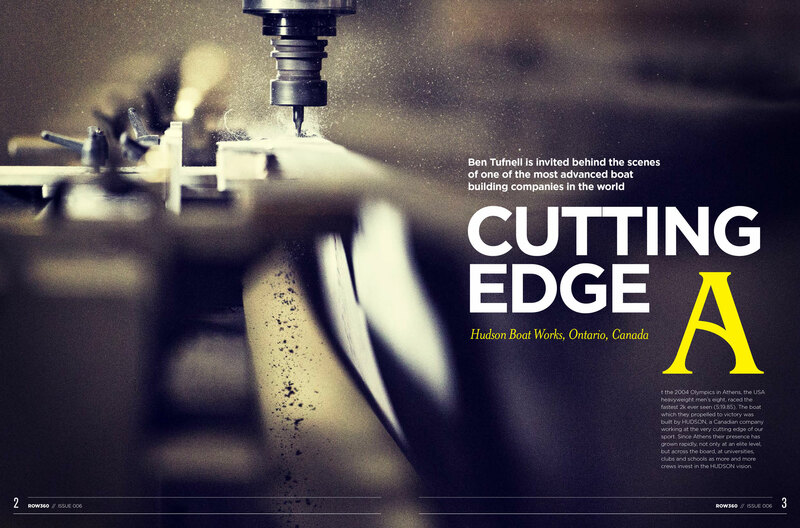 It’s a mammoth thing, we built it ourselves and it’s incredibly accurate.” As its name suggests, the bend test machine slightly flexes every hull as it comes off the production line, validating both torsional and longitudinal stiffness. “If something is off in our process, we will see it well before the customer could ever detect it.” Not only does it ensure each individual boat meets the required standard, it means they are continually keeping a very close eye on their manufacturing processes. It allows them to detect and address any quality control issues that may arise early. As they drive down that variation from boat to boat, the effects of any changes to the manufacturing process become increasingly clear. A Datron high-speed milling machine is another recent addition to HUDSON’s technology arsenal. Their fourth and newest CNC machining centre in the factory, it cuts the amount of time required to create their own rigger and parts molds significantly. Costing $250,000, it is evidence of the constant re-investment in their technology and a desire to ultimately move all parts of the manufacturing process ‘in-house’ to ensure the highest level of quality control. Constantly testing, researching and advancing their hull shapes, through collaboration with renowned naval architect Britt Chance, the new era of HUDSON shells were the first to market using ‘unsteady flow’ computational fluid dynamics (CFD) analyses. Now working with expert architect Steve Killing, the SHARK hulls are designed for increased stability whilst maintaining their outstanding performance characteristics. In conjunction with the most technologically advanced hull design, HUDSON have also worked with composite material suppliers, adapting aerospace technology to create the new proprietary SHARK carbon. HUDSON were the first boat builder in the world to convert it's fleet entirely to composite construction and aluminium wing rigger technology. Today, it’s the industry standard. Following a lengthy development process, the strength and resilience of the carbon wings HUDSON brought to market defies belief. They have developed a carbon rigger which, they tell me, can withstand most catastrophic impacts. Eager to prove it, in what I imagine is a favourite party trick, I am handed a lump hammer and encouraged to hit one of the carbon riggers, “as hard as you can!” From what we have seen so far it’s hardly a surprise the rigger prevails. I barely crack the clear coat. As the tour concludes, I can’t help but think, with their ethos of relentless improvement, impeccable customer service and a staff made up of competitive rowers, master engineers and skilled craftsmen, does it get better than this? “We don’t want to be the biggest, we don’t want to build the most boats (they currently produce around 600 per year), we just want to do what we do, better than anyone one in the world.” And having seen it for myself, I would say they do. With a purpose-built workshop about to open in the UK, a new website about to launch with its ‘Shark Tank’’ feature, which will allow customers to chart their boat through every step of the build process and another busy Olympics for HUDSON around the corner, where do they go from here? “We can’t reveal too much, but I can say that in five years’ time, where we are going will make what we do now appear standard. We are already working on the boats for the Tokyo 2020 cycle and there are some exciting things in the pipeline”. With our tour through the factory over and time to reflect, it occurs to me - if anyone can eclipse the HUDSON operation I’d seen that day, it will be the HUDSON of tomorrow.